No less than 93 Saharawi groups have called on the EU institutions to respect the will of the people of Western Sahara when negotiating trade or fisheries agreements that will affect their occupied land. 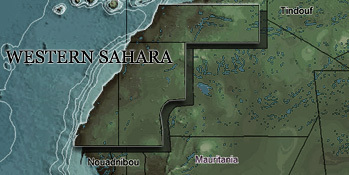 "We call upon the EU member states and the EU Parliament to reject any proposed agreement covering Western Sahara that does not have the explicit consent of the POLISARIO Front, as the legitimate representative – and recognized by the UN as such - of the people of Western Sahara", the text reads. Read the full appeal here. The document has been signed by 93 Saharawi organisations from the occupied territory, the refugee camps and the diaspora. The organisations express their full support to solid EU-Morocco relations, but ask that they be limited to Morocco proper. The EU Member States are expected to vote on a proposed trade arrangement for Western Sahara that has been negotiated with Morocco - following a ruling by the EU Court of Justice in December 2016 concluding that no EU-Morocco trade or association agreement could be applied to Western Sahara, unless with the consent of the people of Western Sahara. At no point prior to or during the negotiations with Morocco, has the EU Commission sought the consent of the people of Western Sahara. Instead, it undertook a consultation process in which it has heard from Moroccan elected officials and economic operators - falsely claiming that the Saharawi representation, the Polisario Front, had also taken part. Many of the organisations signing the above document had also been dishonestly presented by the Commission as having taken part in the consultation process - but, as the document points out, they had not even been asked.